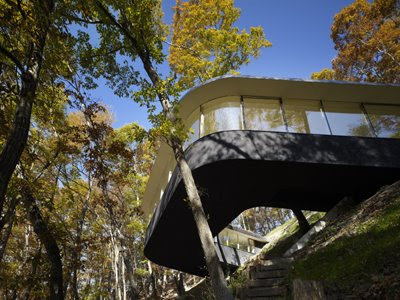 The contemporary, curved weekend house reaches off the hillside & around the trees, connecting to the other side. Inside, the house takes shape as an elongated floor plan, where one area of the home opens onto the other, separated by walls of glass. 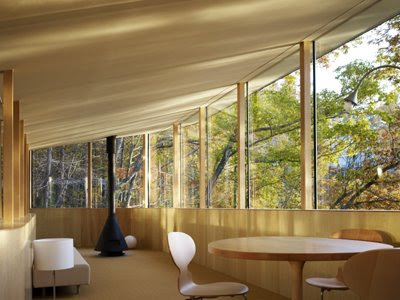 Apart from glass, the main material of choice for both the interior & exterior is wood. 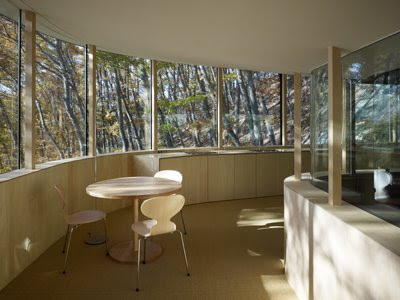 And true to this Japanese architect’s signature style, interiors are furnished with a minimal, modern edge. 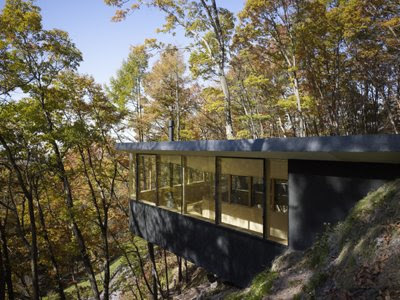 More information approximately Japanese Glass Home [via] Modern Home Design. « Can’t Decide Which Eyelet Curtains To Use?